Their son moved back into the home eight years ago after losing a job, he said. A New York judge today ordered a 30-year-old man to vacate his parents’ home after they took him to court when he refused to leave. "I want you out of that household," New York State Supreme Court Judge Donald Greenwood told Michael Rotondo, pointing at him with his right index finger, according to ABC Syracuse affiliate WSYR-TV. Rotondo was displeased, the station reported. "That's outrageous," he said. He later confirmed that he plans to appeal the decision. The judge explained that Rotondo was given numerous notices, but Rotondo tried to argue as his own attorney that he needed more time, according to WSYR. "I don't see why we can't just wait a little bit for me to leave the house," he said to the judge. 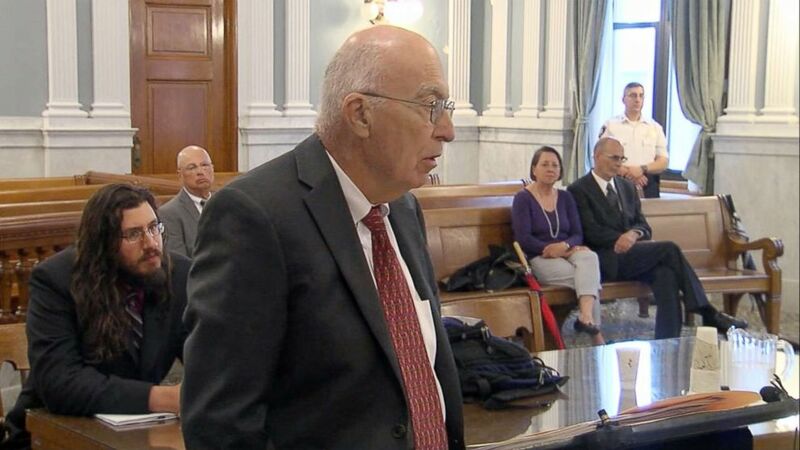 After the judge ruled in Rotondo's parents' favor, he approached the judge's bench to ask for one last consideration. But Greenwood told him, "Sir, I've already ruled." 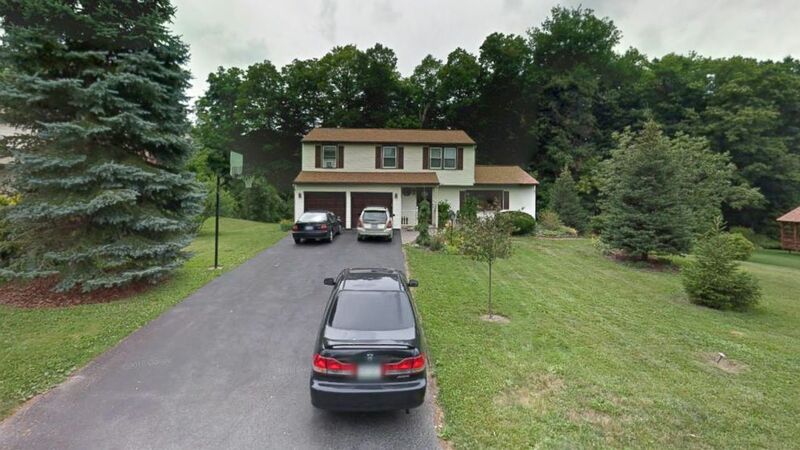 (Google Maps) The home of Mark and Christina Rotondo is seen in this undated Google Maps, in Syracuse, N.Y.
Rotondo told WSYR after Greenwood's ruling that he plans to get some things from the Camillus, New York, home, adding that he wasn’t sure where he would stay now. The judge also asked the state's protective services to check on the well-being of Michael Rotondo's parents, Christina and Mark Rotondo, according to WSYR. The parents declined to comment after the judge’s ruling. Attempts to reach the parents and their attorney were unsuccessful. They took their son to court after several failed attempts to get him out, including a cash offer of $1,100 to move his belongings and get his Volkswagen Passat off their driveway, court documents obtained by ABC News show. Outside court, Michael Rotondo said he took the money, but didn't go on a search for a place to live, WSYR reported. "I spent it on expenses," he said. 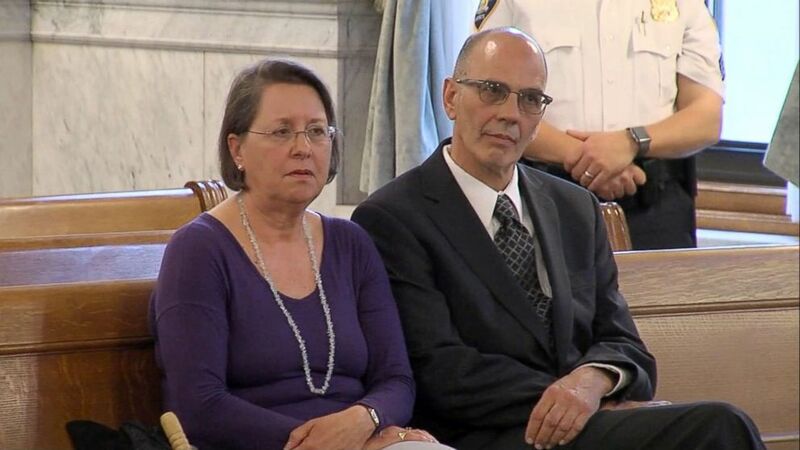 (WSYR) Christina and Mark Rotondo sit in New York State Supreme Court on May 22, 2018 during a proceeding where a judge told their son he must vacate their home in Camillus, N.Y. The parents penned several letters to him going back to February, all asking him to leave the home they say they’ve owned since 1975, according to a civil petition they filed in Odondaga County Court. But Michael Rotondo wouldn't budge. In court, Michael Rotondo asked the judge for six months, then, after the judge disagreed with his interpretation of the case, he said he could leave sooner. "I don't presently expect to be there three months from now," he told the judge. Michael Rotondo said that he's "not a burden to them in the home" and the parents "don't provide laundry or food." But the judge didn't appear convinced, at one point bringing Michael Rotondo and the parents' attorney to his bench to consider mediation. The parent's attorney told the judge that neither Mark nor Christina Rotondo have any "obligation to provide support" to their 30-year-old son and that they are considering becoming "empty nesters" and want the option "to sell their large house and move to smaller quarters that suits their needs." The letters included in the petition illustrate their rising frustration. Michael Rotondo attempted to answer the claims and stated in a motion to dismiss that "he is a family member, who cannot be evicted" and cited a 2006 legal case of Kosa v. Legg, placing the blame on his parents for violating law by forcing him out of their home without enough notice. Michael Rotondo claims he hasn't "made life difficult" for his parents and that there was never any expectation on him to "contribute to household expenses" or do chores or maintain the home, the motion states. The parents' letters to him paint a different picture. On Feb. 2, his parents wrote him four sentences demanding "that you must leave this house immediately" and giving him two weeks "to vacate." "You will not be allowed to return," the letter reads. "We will take whatever actions are necessary to enforce this action." On Feb, 13, three days shy of the 14 days they promised, the parents wrote Michael Rotondo informing him that they retained an attorney. They gave their son 30 days "to vacate the premises" and threatened a "legal procedure," if he didn't abide by the letter, the petition reads. They also warn him to refrain from "threatening or harassing action" that he might consider taking. Then they offer Michael Rotondo the cash. "Here is $1,100 from us to you so you can find a place to stay," they wrote in a Feb. 18 letter, included in the petition. It came with "advice" that he start organizing his belongings and hawk the rest. (WSYR) Michael Rotondo, left, sits in a New York State Supreme Court as his parents' attorney petitions the judge to order him to move out of their home. "Sell other things you have that have any significant value, (eg. stereo, some tools etc. )," the letter in the petition reads. This applied to weapons too. "This is especially true for any weapons you may have," the letter adds. "You need the money and will have no place for the stuff." The letter also advises Michael Rotondo not only move out but get a job. "There are jobs available even for those with a poor work history like you," they write in the letter. "Get one -- you have to work!" More letters in the petition were sent in March. Each demands Michael leave and get his car fixed and off the parents' property.